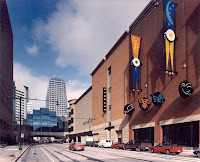 Circle Centre mall in downtown Indianapolis is now accepting credit-card payments at its three parking garages. You can access them on Washington Street, Maryland Street, Georgia Street, and Illinois Street. During Colts game days or big downtown events, the garage may charge a $20 event rate. Drivers will be notified by signage at the garage entry and can get normal parking rates by showing a $20 receipt from any Circle Centre merchant. The only Circle Centre merchant that provides parking validation is the United Artists Theater on the fourth floor, which offers four hours of complimentary parking to moviegoers. We offer affordable high risk merchant accounts and credit card processing hard to place business high risk credit card processing merchant account. No set-up fees and fast approval. credit card processing are mostly responsible for data transmission and security when you use your card at a store or online to make a purchase.